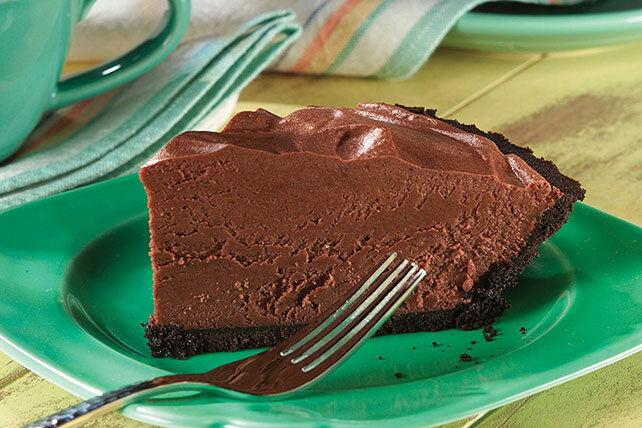 Taste delicious chocolatey flavor with Simple Chocolate Mousse Pie! Melted chocolate and COOL WHIP Whipped Topping create an airy chocolate mousse pie. Microwave chocolate and milk in large microwaveable bowl on HIGH 2 min. ; stir until chocolate is completely melted. Cool 20 min., stirring occasionally. Add sugar and vanilla to COOL WHIP; stir until well blended. Stir half into chocolate mixture. Add remaining COOL WHIP mixture; mix lightly. Spoon into crust. Looking for a special treat? One serving of this mousse pie is full of chocolatey flavor. Grate additional BAKER'S Semi-Sweet Chocolate; sprinkle over pie just before serving.